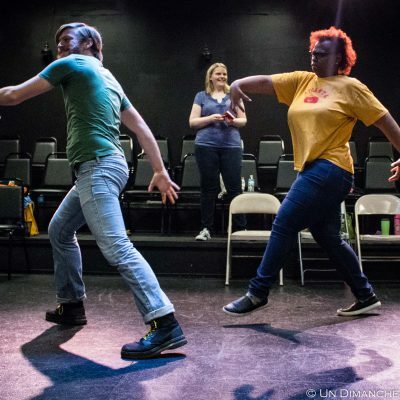 In this eight-week class, improvisers will learn how to create and sustain characters effortlessly. Students will practice building characters from both within and without. Going far deeper than playing a cartoonish caricature, actors will develop long-lasting skills that will assist in playing a variety of genuine, believable characters who have heart. Every week of class, Amanda introduced a new way of creating characters, or gave a fresh perspective on a familiar approach. Her approach really empowered me since I came into improv without an acting background, she gave me the confidence to be more bold with my characters. Amanda's workshop was just what I needed. It pushed me to go to new places, gave me new perspective, and was above all really, really fun. Her teaching style focuses on the improviser going somewhere, not just making the audience laugh. Which allowed us all to go amazing places that the audience would have never expected. She's playful, respects the art-form and wants all her students to succeed.